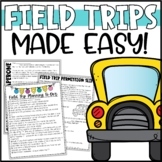 Do you need a cute, but formative permission slip for a Fall/pumpkin patch field trip? This is it! 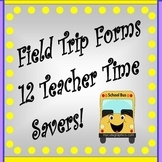 The form contains trip information, location, times, cost, etc. Thanks! Happy downloading! 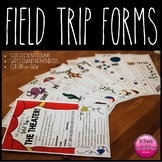 Field Trip Forms! Worksheets, Checklists, Evaluations, and More! Field trip form for the zoo. 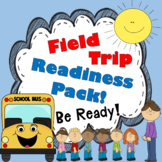 Covers school lunch or lunch from home, chaperones, and all the details about the field trip! 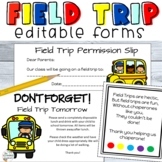 A brief form for students to fill out if attending any field trip location. 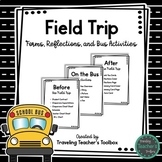 Questions on form are tailored to ELA content, and are designed to make students think about the application of the field trip to classroom content. 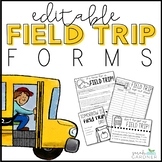 FIELD TRIP FORM TEMPLATE (Excel) "Form for Submission of Required Student Forms"
This field trip form is easy to fill in the blanks and complete for your next adventure. I am leaving it in Word format so that you can customize it with your school logo, name, and field trip information.